Set (for the most part) in the final days of a campaign for the election of a New York City mayor, this pseudo-political thriller disappoints in part because of a weak script, which takes far too many shortcuts. But it's the odd casting of a nearly incomprehensible Russell Crowe struggling with an American accent as the incumbent mayor that is most distracting here. 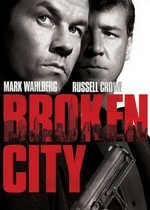 Read the full text of our review at Mr. E. Reviews Broken City. 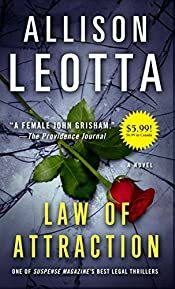 MystereBooks is pleased to feature Law of Attraction by Allison Leotta, now available at a special price, courtesy of the publisher, Touchstone. The ebook format of this title was priced at $2.99 from the listed vendors (below) as of the date and time of this post (06/30/2013 at 11:30 AM ET). Prices are subject to change without notice. The price displayed on the vendor website at the time of purchase will be the price paid for the book. Please confirm the price of the book before completing your transaction. As a newly minted Assistant U.S. Attorney in Washington, D.C., Anna Curtis has already developed thick skin to deal with the brutality she encounters with her daily stack of domestic violence cases. Yet when Laprea Johnson walks into Anna's life — battered by her boyfriend on the morning after Valentine's Day — there's something about this particular case that Anna can't quite shake, something that reminds the prosecutor of her own troubled past. At the trial, Laprea makes a last-minute reversal, lying on the witness stand to free her boy-friend. Shortly after he is freed, Anna is horrified to hear that Laprea's body has been found in a trash heap. 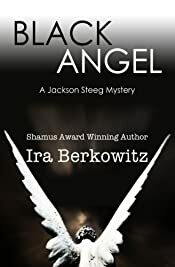 Hastily assigned to prosecute the murder case alongside intimidating chief homicide prosecutor Jack Bailey, Anna's heart sinks when she learns that her own boyfriend, public defender Nick Wagner, is representing the accused. Torn between bringing the killer to justice and saving her personal life, Anna makes a series of choices that jeopardizes her career, her relationships, and her very life as she uncovers the shocking truth behind the murder. 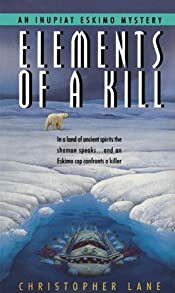 First Clues: Mysteries for Kids is pleased to announce a selection of new mystery, suspense and thriller books (including series titles) scheduled for publication during July 2013, listed in approximate order of reading level, from books for younger readers to books for teens and young adults. This entertaining mystery is recommended for readers aged 4 to 6. The sheriff and his deputy dog have been charged with a mission: to bring a dozen donuts home safely. All seems to be going well until the young sheriff peeks inside the box to check on the tasty treats. They're practically calling his name, and in the blink of an eye (and with just a few nibbles), a donut disappears! 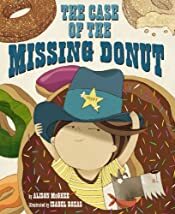 Wherever could that missing donut be? Luckily, this is one mystery the sheriff and his deputy are sure to bring to a close. This third book in the series is recommended for readers aged 7 to 9. Rumors of ancient curses and mischievous ghosts surround the disappearance of a priceless sword said to belong to the legendary Scottish King, Robert the Bruce. Determined to solve the case of this missing relic, Agatha packs her kit and heads to the Highlands! 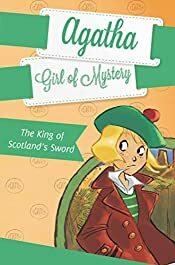 Featuring a younger Nancy Drew and friends, this series book is recommended for readers aged 7 to 9. 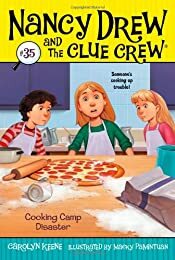 Nancy, Bess, and George are excited to be spending some of their summer at Kid Kuisine, a cooking camp where they are going to learn how to make delicious treats from Chef Giorgio. At the end of the camp, they will be cooking for their families — and someone will win Best Chef! But after a few days, it's clear that one of their fellow campers is not as excited as they are. From salty brownies to super-spicy pizza, things are not as yummy as they should be: Someone is sabotaging the food. Could it be the stuck-up Jeremy, who is intent on winning Best Chef? Or the chef's assistant, who might have hidden motives of her own? It's up to the Clue Crew to figure out who's ruining the recipes — and everyone's appetite! This second in a four-book series of heist adventures is recommended for readers aged 7 to 9. Still smarting after their last run-in with the Rivals, the Jewels focus on their upcoming trip to the Big Apple. But the girls can't stop thinking about the cryptic letter they found, describing not one, but four precious gems that now need their protection! 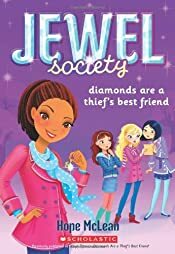 Even more confusing, the Jewels start receiving anonymous notes, one of which claims the Rivals will try to steal a diamond during their trip to New York City! But which one is it? Finding the right diamond in New York is like looking for a needle in a haystack. The Jewels get to work, using all their expertise to unravel the mystery of the secret letter and outsmart the Rivals, as a furious game of cat and mouse ensues across New York City. Will the Rivals rule again? Or can the Jewels conquer in quiz bowl AND stop a crime? This stand-alone historical adventure mystery is recommended for readers aged 7 to 9. 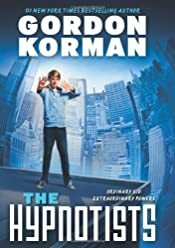 This first book in a new series is recommended for readers aged 10 to 12. 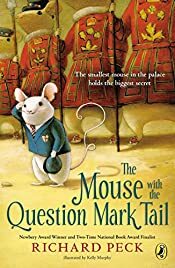 This stand-alone mystery is recommended for readers aged 10 to 12. Twelve-year-old Dahlia has always lived at Silverton Manor-having spent fifty years as its resident ghost. 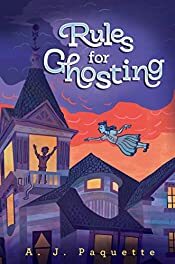 When Oliver Day and his family show up as house-sitters the day Mrs. Tibbs, a Liberator sent by the Spectral Investigative Council, arrives to teach Dahlia the proper rules for ghosting, Dahlia can't wait to make new friends. But the unscrupulous ghost hunter, Rank Wiley, and the crooked town councilman, Jock Rutabartle, plan to rid Silverton Manor of its ghosts and sell it to the highest bidder. With her home and friendships at stake Dahlia may have to break the rules of ghosting as quickly as she learns them to solve the mystery of her death and save the manor. 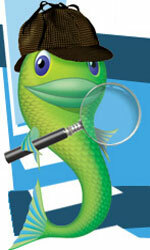 First Clues: Mysteries for Kids is your source for information on over 200 mystery series for children and young adults, where each series is conveniently listed under four different age categories (New Sleuths, ages 4 to 6; Future Sleuths, ages 7 to 9; Junior Sleuths, ages 10 to 12; and Apprentice Sleuths, ages 13 and older). Book Trends, a review site for young adult's and children's books, published several new book reviews this past week. We're presenting here a summary of those in the mystery/suspense/thriller category. Save $30 on a Kindle Fire HD! 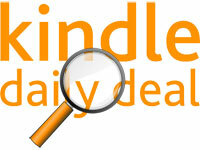 Amazon.com has discounted the popular Kindle Fire HD 7" tablet by $30 "for a limited time only". We're not exactly sure how "limited" that time is as we can't find any mention of how long this promotion will last. 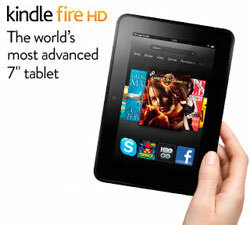 Use this link to visit the Kindle Fire HD page. All four variations of the device currently include the discount (as of the date and time of this post): 16 GB and 32 GB, with or without Special Offers. And at the current price, the HD version is just $10 more than the standard version! If you've ever considered purchasing a Kindle Fire — and quite honestly, we were a tad reluctant at first but can't imagine doing without one today — this is a terrific opportunity to acquire one at a very attractive price. 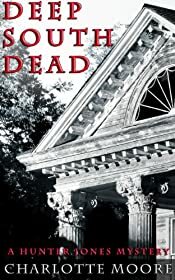 MystereBooks is pleased to feature Deep South Dead by Charlotte Moore as today's fourth free mystery ebook (A Hunter Jones Mystery; Kindle format only). This title was listed for free as of the date and time of this post, June 30, 2013 at 7:40 AM ET. Prices are subject to change without notice. The price displayed on the vendor website at the time of purchase will be the price paid for the book. Please confirm the price of the book before completing your transaction. Looking for peace and quiet to write a novel, Hunter Jones left Atlanta for a job at a weekly newspaper in Merchantsville, Georgia, a town so small that everybody knows everybody else's business. She quickly discovers that gossip travels faster than the press can run, and she's a bit of an outsider looking in until she goes to a grand old mansion for an interview with the president of the historical society, only to find that a murderer got there first. 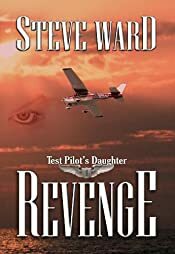 MystereBooks is pleased to feature Revenge by Steve Ward as today's second free mystery ebook (A Test Pilot's Daughter Thriller; Kindle format only). This title was listed for free as of the date and time of this post, June 30, 2013 at 7:20 AM ET. Prices are subject to change without notice. The price displayed on the vendor website at the time of purchase will be the price paid for the book. Please confirm the price of the book before completing your transaction. Christina Matthews does it all. An obsessed fly-girl with the Right Stuff and True Grit finds love in the oddest place, the cockpit. 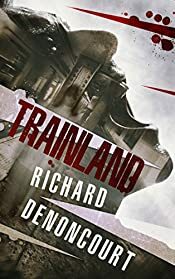 A beautiful and brainy college girl born with jet-fuel in her blood is haunted by a gripping family tragedy and the violent murder of her best friend. The only thing she truly fears is sleep. Tortured by nightmares, this test pilot's daughter has to find a way to save her sanity or die. Mike Clark, call-name Lazer and a real Top Gun, looks to be the best kind of therapy. 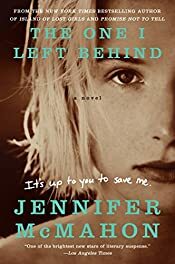 With dreams of becoming an Astronaut-Commander, Christina struggles through heart-stopping perils in the cockpit and crash-lands on a deserted island. Without hope for rescue, she concocts an oddball plan to return survivors to civilization. Risking her future at NASA, Christina delivers on a promise to a dying friend and faces her evil nemesis in the sky. Only by overcoming deep-seated fears can she exorcise her ghosts and pursue a lifelong dream of flying in space. Will true love conquer Christina's curse, or will she auger in? 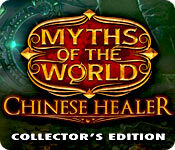 • The New Release is Myths of the World: Chinese Healer Collector's Edition. • The Daily Deal is Cursed Memories: The Secret of Agony Creek, just $2.99 today only! • The current Catch of the Week is Fabled Legends: The Dark Piper, just $2.99 through Sunday, June 30, 2013 only. • Today's Special Deal — This weekend only, all games are 50% off! Use coupon code BIG for Collector's Edition games and FISH for Standard Edition games at check-out to save 50% off the retail price. Offer ends June 30th, 2013 at 11:59 PM PT. A great myth has enduring power … no matter where the story comes from. In this first game in the exciting new Myths of the World series, your story begins as a Chinese healer who’s brought to the Imperial City to save the Emperor’s son. But you uncover a devious plot and end up having to save yourself! Throughout the game, you’ll use your herbal kit to concoct powerful potions to summon spirits and heal the people you meet. There are also collectible cranes hidden everywhere, and achievements to earn as you play. This is a special Collector's Edition release full of exclusive extras you won't find in the standard version, including: bonus game to track down Master Lei once and for all; integrated strategy guide; three bonus hidden-object puzzles; replay hidden-object puzzles and mini-games; and downloadable images. 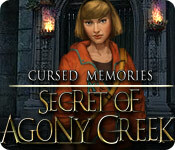 After waking up chained to the floor of a disgusting cabin, you must discover the secret of Agony Creek and escape before it's too late! Avoid a dangerous police officer, a mysterious phantom, and many more dangers in this incredible Hidden Object Puzzle Adventure game! Figure out why the town was evacuated and learn about the founder's shady past. A sample version is available to download and play for free for one hour. You can purchase this game today only — Sunday, June 30, 2013 — for $2.99. The Dark Piper strikes! The fiend unleashes infested rodents into the town of Hamelin using the magical Pied Piper Flute. As the Fabled Inspector, you are summoned by the duke to investigate and stop this mysterious figure. 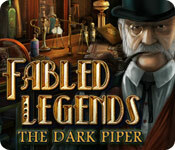 Defeat the Dark Piper before he leaves a trail of destruction all across Europe! A sample version is available to download and play for free for one hour. You can purchase this game at the special price of $2.99 through Sunday, June 30, 2013.